After a frenzy of activity in September in readying Wallerawang for it's debut exhibition, the last two months of 2009 has seen slow but steady work on the layout. The debut of Wallerawang was a milestone and a great success, with the layout running like a show veteran across the entire 3 days. Teething issues were extremely minor, being a few Tortoise point motors needing adjustment to throw the point blades the whole way over. No 'running in' of the layout was necessary, with all the locomotives and rolling stock running quietly and smoothly from the outset. It appears that the time invested in ensuring a solid foundation of benchwork, trackwork and wiring has well and truly paid off. A tuscan red liveried 48 class hauls a short Lithgow bound goods train through the Up platform. Detailing work has continued on individual modules, including detailing the water tank, adding fences, and extra landscaping. On the platforms station name signs have been added, gravel to the back of the Down platform, and the water column at the Sydney end of the Up platform. One of the corner modules had another industry added, with chain-link fencing circling both it and the adjacent building. Work has also turned to walkaround throttles for the layout. The controllers are based on the CoolerCrawler design, modified by removing the momentum and braking functions, adding LEDs for throttle power, track power and overload indication, and integrating the base station and walkaround component into one self-contained handheld unit. 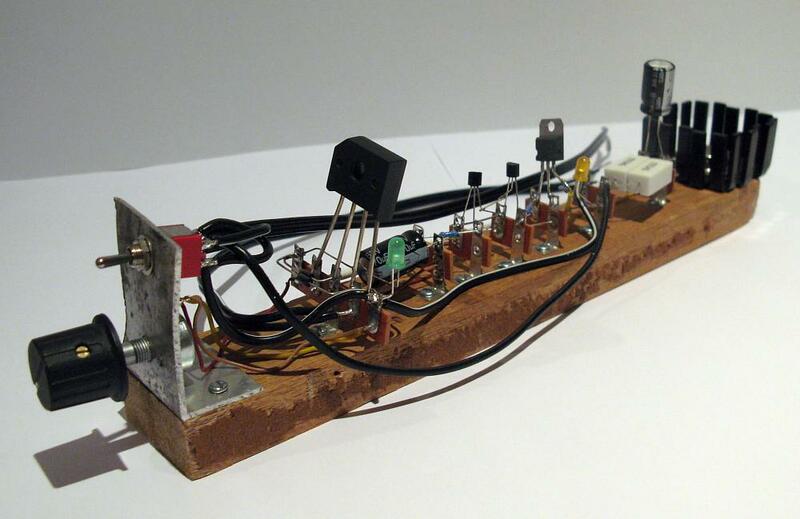 In order to evaluate the circuit design, a prototype controller was constructed on a scrap piece of timber. The results of the initial testing more than lived up to the CoolerCrawler's reputation for slow speed control. A printed circuit board layout was designed and two throttle boards made and assembled. One throttle was then completely assembled before undergoing further testing, using two modules of the layout. 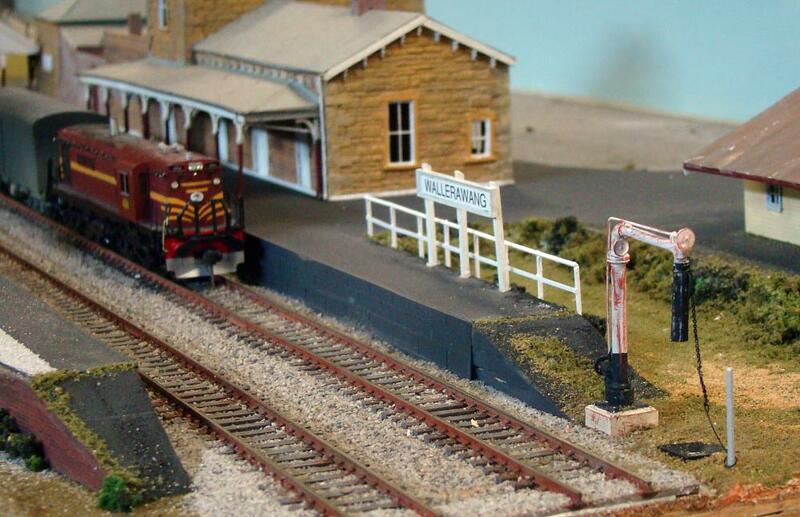 The results exceeded expectations, with superb slow speed control of all locos. Engines with can motors and flywheels moved effortlessly from stop to a slow crawl and then to high speed running, and sound-equipped locos made noises never heard before on a DC-controlled layout. Even Lima locomotives were running slowly, smoothly and reliably! 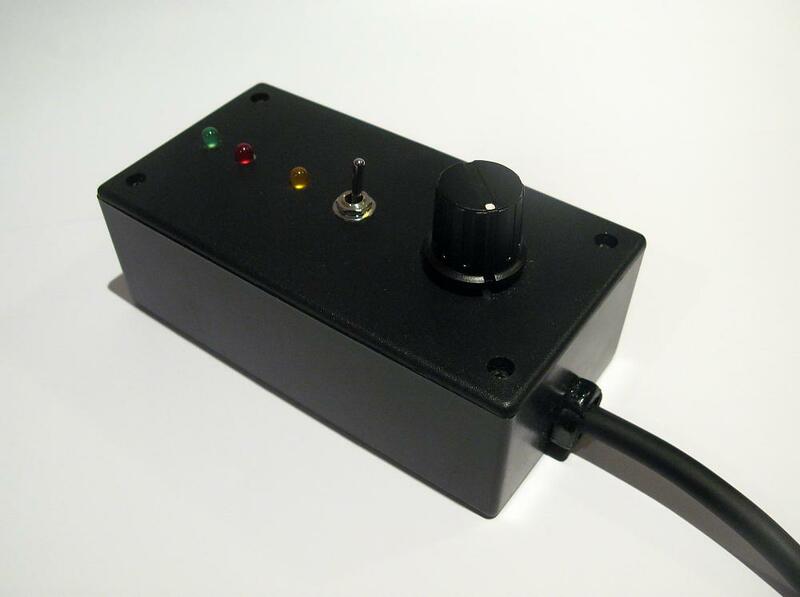 One assembled throttle, awaiting ventilation holes in the sides and the bottom of the box.